Last week, the news broke that HUF reportedly sold a 90% stake in the brand to Japan’s Tadashi Saito and Tsi Holdings Co. for a whopping $63 million USD. The move marks the buyout of San Francisco’s Altamont Capital Partners, which had been partnered with HUF since 2014. 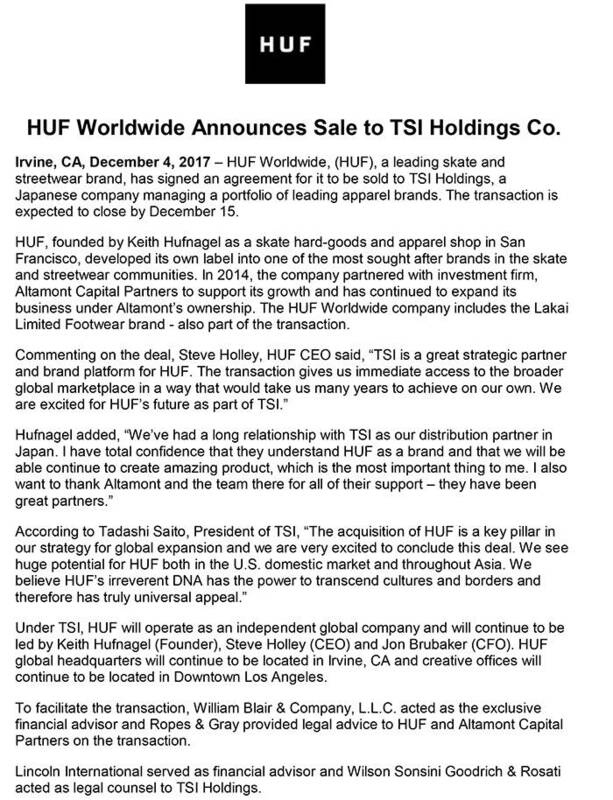 Today, further details have emerged via a press release that provides more information on this new partnership, which will see both HUF and Lakai moving under Tsi Holdings’ umbrella. You can view the release below.